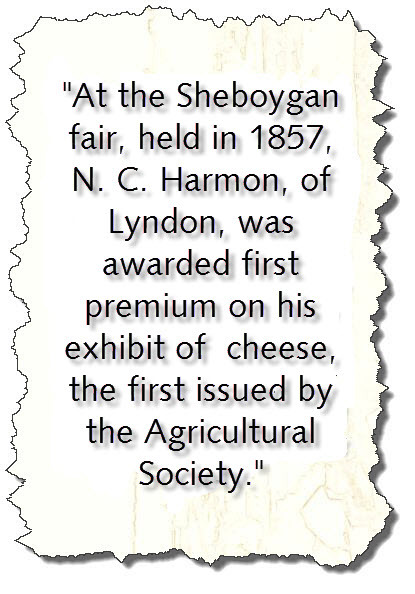 To Jean Nicolet belongs the honor of the first place in the history of Wisconsin. Nor is that honor due from mere accidental events, as is so often the case in the discovery of new countries; for it was now by the deliberate accomplishment of a laborious and dangerous undertaking, whose purpose was, so far as evidence can now be adduced, substantially achieved. The sparse records of the life of this man contain but the barest outlines of his earlier days, though future research among original documents, it is to be hoped, will shed more light on the obscured details. It is known that he was of French nativity, born in Normandy, and that he emigrated to Canada in the year 1618, being a protege of Champlain. The date of his birth is not preserved in any document extant. Upon his arrival in New France, he at once took up his residence at Allumettes Island, on the Ottawa, that he might the better study the Indian tongue and thereby fit himself for the office of interpreter. In 1622, but four years after his arrival, he is mentioned as having acquired an extensive influence over the Algonquin tribes. From 1623 to 1631, Nicolet lived with the tribes of the Nipissing. This is stated on the authority of his friend. Father Le Jeune, although other of the "Jesuit Relations'' record that the period of his residence with the Nipissing tribes was from 1629 to 1632. 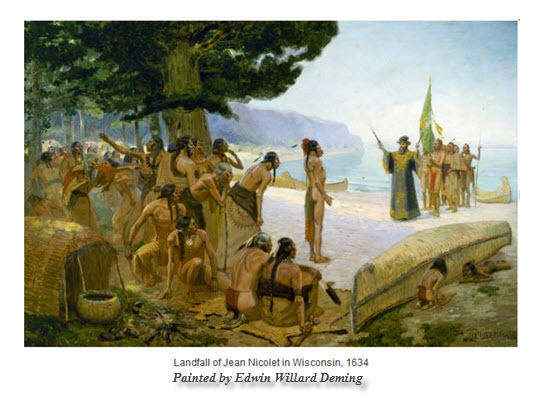 It is determined by those who have made a special study of the subject, that Nicolet came to Green Bay in the summer of 1634, and returned to Quebec in 1635. Parkman observes that Nicolet was a remarkable man, and so he must have been, to win the confidence of the savage tribes to that degree which enabled him to penetrate into the remote regions of their homes and there conduct a peaceful enterprise with the warlike Winnebagoes, for the advancement of commerce in fur and peltry. The long journey from Quebec was undertaken at the suggestion of Champlain, and in the official capacity of interpreter of the Company of One Hundred Associates of New France, which was formed in 1627, with a view to the development of the immense resources of the western wilderness in furs. The mission of Nicolet was not to establish peace, as distinguished from warfare, between the Hurons and Winnebagoes, but was rather a mission of peace, to cement the friendly relations of these tribes, as well as the Nez Perces or Ottawas, and other tribes, in the general interest of the French. Nicolet visited the Hurons while on his westward journey, at their home on the eastern side of the lake which bears their name, and negotiated with them. It is recorded by Parkman that upon his arrival in Green Bay, at Winnebago Town, he sent some of his Indian attendants to announce his coming, put on a robe of damask, and advanced to meet the expectant crowd with a pistol in each hand. The squaws and children fled, screaming that it was a manito, or spirit, armed with thunder and lightning, but the chiefs and warriors regaled him with so bountiful a hospitality that one hundred and twenty beavers were devoured at a single feast. With such a dramatic display was the white man introduced upon the soil of the great commonwealth of Wisconsin. The Jesuit Paul Le Jeune, writing in 1640, said: "Upon the borders of Green Bay are the Menominees; still further on, the Winnebagoes, a sedentary people and very numerous. Some Frenchmen call them the 'Nation of the Stinkards,' because the Winnebago word 'winipeg' signifies 'stinking water.' Now they thus call the water of the sea, therefore these people call themselves Winnebagoes, because they came from the shores of a sea of which we have no knowledge. Consequently, we must not call them the Nation of the Stinkards but the "Nation of the Sea". It is asserted by several writers that Nicolet continued his journey down the Wisconsin river to a point "within three days journey of the Mississippi" but this statement is shown, by the monograph referred to, to be an impossibility. It is therein given as historic fact that the renewed journey extended up the Fox river, to within three days' voyage of the Wisconsin, where it is supposed he found the Mascoutins. This correction is one of the most valuable that has been made by Professor Butterfield. After returning to Green Bay, Nicolet visited many of the surrounding nations. He retraced his way to the St. Lawrence in the summer of 1635, reaching Quebec in safety. The parish records of that city furnish the information that this brave man was occupied with various duties from 1635 to the date of his death, and show conclusively that his journey must have been made at the date given, since he was not absent from Quebec long enough at any one time to have performed the feat subsequent to 1635. Nicolet married Marguerite Couillard, at Quebec, October 7, 1637. He lost his life while on a mission to save a poor Abenaqui from the Algonquins, by the capsizing of his boat, October 31, 1642. To this bold adventurer, whose knowledge of the western tribes was gained by actual experience, must all praise be given for having opened to the devoted followers of the Cross the way to new fields of usefulness.